It’s Father’s Day, and I’m on my way to visit my favourite father, so I’m going to keep things short and sweet. Coincidentally, that is also a perfect description of this recipe! 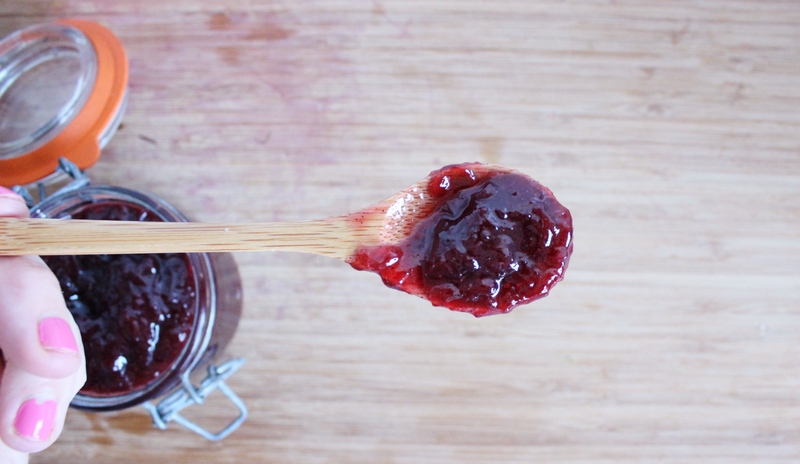 This rhubarb and vanilla jam is so speedy to whip up that you will wonder why your fridge is not filled with every single delicious home-made jam in the world. You can have it made in under 20 minutes! I tend to think that the less ingredients your jam has, the better, so with four ingredients, this rhubarb and vanilla delight is a winner. I made it for Father’s Day because my dad is a bit of a rhubarb fiend. I have vivid childhood memories of him stewing it slopping it over ice cream. Slop is exactly the sound I recall it making as he scooped it from the pan into his dessert bowl. Sorry dad, but it never looked appetising! The beautiful, vibrant colours would leech out of the stalks and into the water, leaving everything looking a bit anaemic. It was only recently that I re-discovered rhubarb. I like it best when it’s complimented with sweetness, like in my rhubarb glazed doughnuts, or in a lovely syrup and served with porridge, like I had for brekkie the other day. Grab a large, heavy-bottomed pan and put the water in first, this will stop the sugar from catching on the bottom of the pan and burning. Add the rhubarb, vanilla paste and sugar. I used Heilala vanilla bean paste because it’s slightly more concentrated than vanilla extract. If you’re using regular vanilla extract, add a dash extra. Stir over a medium heat until the sugar has dissolved completely. You’ll notice the syrup start to turn a beautiful pinky-red colour. Once the sugar has dissolved, turn the heat up to medium-high and stir constantly for 12-14 minutes. 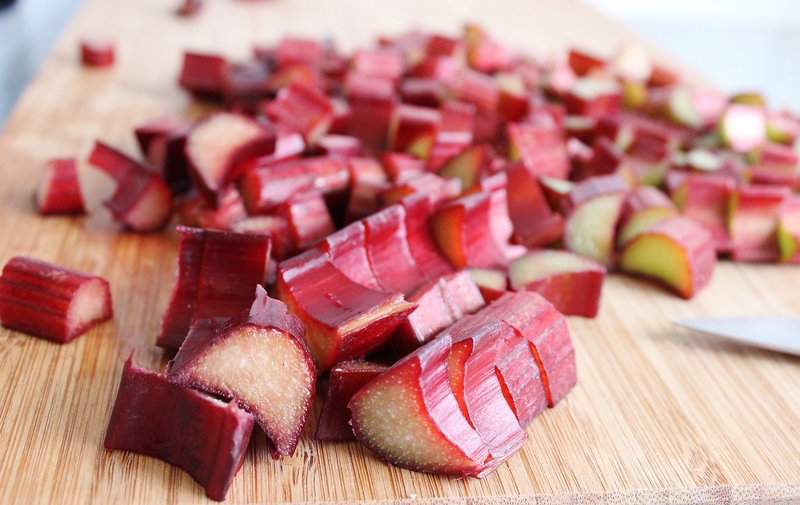 As you’re stirring press down with your wooden spoon to get rid of any big chunks of rhubarb. When the jam has thickened and most of the liquid has disappeared, it’s done. 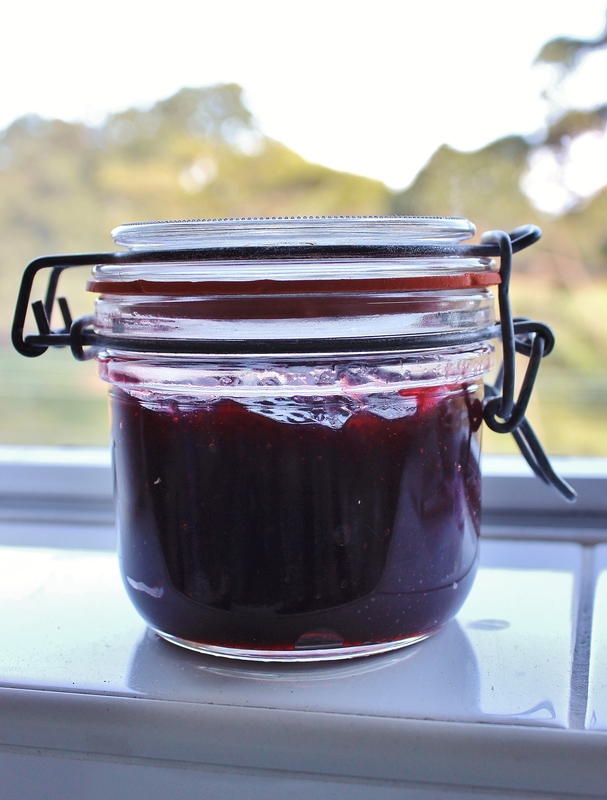 Scoop into a sterilised jar with an air tight lid and pop into the fridge to cool down and firm up. 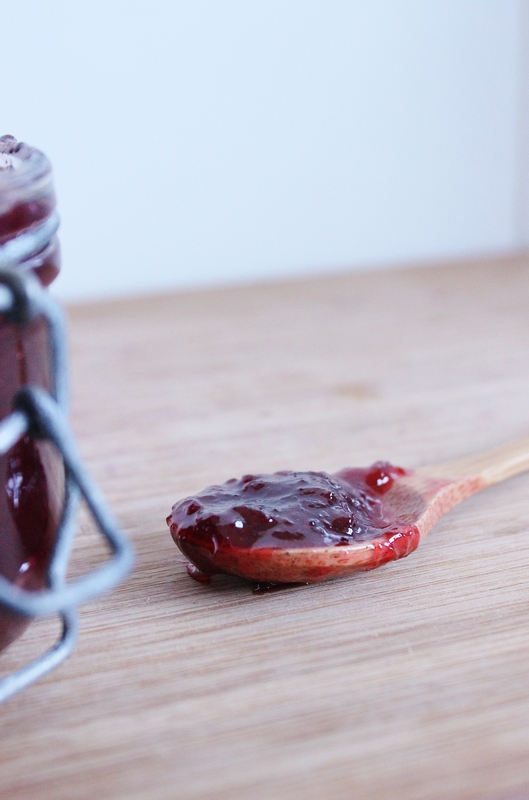 This jam is delicious on toast, the vanilla gives it a mellow sweetness which makes it taste like rhubarb with custard!